It is only with a sense of great enthusiasm we remind you that the electricity or gas charges in connection with the preparation of hot water can very well be abolished while installing a Solar Water Heater and to be in tune with our whims and fancies there are two types of solar water heaters available in the Kerala market.. The first one is Flat Plate Collector (FPC) with an insulated, weather-proof box containing a dark absorber plate under one or more transparent or translucent covers and Muricken has tested and proved 30 years ago that it is the most common and durable type suitable for the climatic conditions of Kerala and it can give 80°C hot water with the help of normal sunlight and for FPC we have Pressurized and Non -pressure solar water heaters . The second one is Evacuated Tube Collectors which are made up of rows of parallel, transparent glass tubes.and each tube consists of a glass outer tube and an inner tube called absorber which is covered with a selective coating and the demerits of the ETC model at times mentioned are very low temperature ie. heat only upto 40-5°C, leakage of water through glass sealing, chances of brakeage of tubes when it is exposed to heavy sunlight, fungus inside the tubes which subsequently lower the heat of water and this may kindly be noted that in rainy seasons it is always advisable to use the electric heater. Flyline solar off-grid power house is an electronic device which converts direct current into alternating current. DC to AC inverters are available with power outputs ranging from 1 KVA to 25 KVA and conversion efficiencies greater than 90 percent and to ensure reliable performance of the system it should carefully be matched to the loads that run. Murickens Group has developed a three in one power generating sine wave system with the aim of power saving which run with the help of AC current and Solar Energy as the entire world is staring at and thinking aloud about an alternative source of electric power due to its shortage. Good news to the people of Kerala. 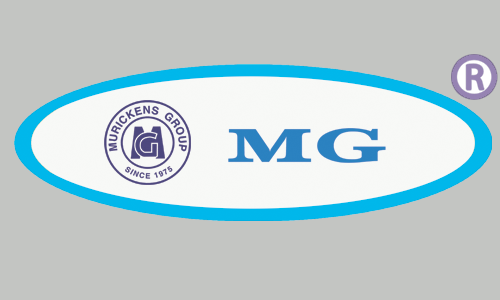 Murickens group introduces Solar based renewal energy is stepping into a new level with the household solar plants benefiting from making free electricity at home or commercial place. Solar lanterns are the best and the cheapest way to overcome the darkness without the need of electricity but with power converting solar panels and sun light, and the back up time is 10 to 15 hours with no maintenance cost. Flyline solar direct current system is the best way of converting solar sunlight to direct current. It can be used any where on earth where sunlight is available and there is no expense and headache for wiring or cabling. It is a solar power devise used for generating solar power to AC current with the help of Flyline Solar Generator, battery,, solar modules and sunlight. A set of solar cells generates DC Electric Energy from sun rays and Flyline Solar Inverter convert this DC current to alternating current of 240 V for the maintenance free working of the house hold equipments, with the back up support of battery. Knowing fully well that advertisement is the media through which the customers can be attracted, Murickens developed Solar Outdoor Publicity Board Lights without the use of electricity and thereby its charges to promote business. Recommendation for uninterruptible power supply from a UPS is for protecting your investment in computer equipments. Murickens Groups developed an Offline UPS system with sufficient response time so as not to lose any data at any time and in this system, the load is normally on mains power supply. UPS Backup power systems - This UPS works on rectified Mains voltage when the mains power is available and works on battery in case of mains failure. The rectified mains and battery are being connected in parallel. This system is a true No-Break power supply. It is a stabilizer which constantly monitors the output voltage and controls the variations in the input voltage by movements of a motor and variance. This motor in turn selects the proper output voltage on the variable transformer. It is guard for your electronic equipments for the trouble free function and perfect output result. An electrical aparatus that changes Alternating Current of one voltage into a different voltage of the same frequency. Step-Down Transformer is a device that has its secondary voltage less than its primary voltage. This transformer reduces voltage and often ranges in size. It is a freezer to keep the dead bodies in tact for a few days, made up of stainless steel, acrylic glass and copper with top and sides glasses to see the the physical remains properly. New revolutionary adventure for dead body preserving unit used for hospitals and nursing homes with low investment and power saving model. Normally all multi body mortuaries are all ways in on position even though it have single or two or there but by using MG new Chember we can control and on-of the independent unit separately and save the electricity bill. Another issue for old model is, If the system face any complaint the entire unit is shutdown every one knows its headache. By using MG mortuary champers we can forget this entire headache.